After a short practice of meditation you will feel that the body gets lighter in a short time, say fifteen or thirty minutes after you have taken your seat on Padma, Siddha or Sukha Asana according to your taste and temperament. You may be semiconscious of the body and surroundings or you may become quite unconscious of the body. There is a great deal of happiness owing to concentration. This is happiness resulting from concentration which is quite distinct from sensual pleasure. You must be able to differentiate these two pleasures through the intellect, rendered subtle by constant meditation. 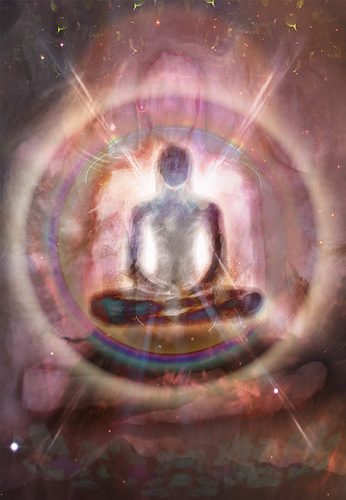 Dharana (concentration) and Dhyana (meditation) have a power to sharpen the intellect. A trained intellect can comprehend subtle, philosophical and abstruse problems beautifully well. A disciplined intellect that can carefully differentiate the happiness derived from concentration and that of sensual objects will naturally run daily to enjoy this kind of new happiness derived from concentration. Such a mind will loathe at sensual pleasures. There will be extreme detesting abhorrence and positive aversion to objects. It is but natural. Because this kind of happiness is more lasting, sustained, self-contained and real as it emanates from the Atma (spirit soul). You can distinctly feel that the mind is moving, that it is leaving its seat in the heart, and that it is trying to go to its Yatha Sthana (original seat). You know that it has left its old groove and is now passing on a new avenue. As a result of meditation, new channels are formed in the brain, new thought-currents are generated, new brain cells are formed. There is a transformed psychology altogether. You have got a new brain, a new heart, new feelings, new sentiments, new emotions and new sensations. Anahata sounds are the mystic sounds heard by the Yogi at the beginning stage of his meditation. This subject is termed Nada-Anusadhana, an enquiry into the mystic sounds. This is a sign of purification of the Nadis due to the practice of Pranayama. The sounds can also be heard after the uttering of the Ajapa Gayatri mantra, “Hamsah Soham’, one hundred thousand times. The sounds are heard through the right ear with or without closing the ears.The sounds are distinct when heard through closed ears. The ears can be closed by introducing the thumbs in the ear through the process of Yoni-Mudra. Sit in Padma or Siddha Asana. Close the ears with right and left thumb and hear the sounds very attentively. Occasionally you can hear the sounds through the left ear also. Practice to hear through the right ear only. Why you hear through the right ear only or hear distinctly through the right ear is because of the influence of the solar Nadi, Pingla. 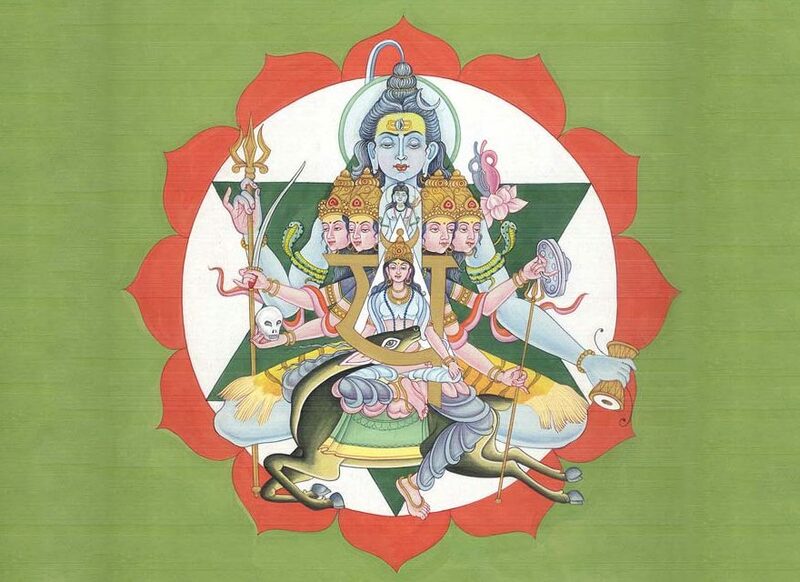 The anahata sound is also called omkara Dhvani. It is due to the vibration of prana in the heart. Very informative and interesting. Thanks alot for sharing your knowledge with us. An interesting article but can anyone explain the reason behind not paying attention to the left ear as the left side sound is the only sound i hear, i have read many warnings about this but no rational explanation so far…can anyone shed any light on this? It was very informative article and heartiest thanks to you. Can you please let me know the process on how to do ajapa gyatri mantra “Hamsah Soham” ? Can I attain higher levels by continuously doing this mantra or do I need to do with some other ? I am a desperate soul seeking answers. good article. But how is it possible to concentrate. The mind seems to be filled with new thoughts every time. I tried but unable to meditate. Because sounds heard on the right side are True. Sounds heard on the left come from sources you don’t want to mess with and are there only to try and trap you. Very nie and comforting to hear that it eases physical and mental disturbances. Quiet mind is very happy and cheerful. World is a drama in haste and taste. A very good article and made me more curious. I am seeking for guidance (a guru) who can teach me to meditate with the above mentioned mantra. Please, can you recommend me a good teacher ? While inhaling pronounce without sound the word ‘ SOO…’ and during exhaling the word ‘HUM’. thats the primary Ajapa-Jap practice. A very good article on meditation . many of us know the benefits of meditaion but how to perform this is important and this article paved a way for us. Good. I need more information on Mudra’s also. I am having problem with sitting padmasana. VERY GOOD ARTICLE,FOR THOSE WHO ARE ON THE PATH,NOT FOR ALL. The article ifs well written , however , the sages do say one needs a guru, a n authentic guru to guides one journey. The journey is not to be taken lightly. The left side is past karma, or as such also possibly lower astral. So we use the right side to hear the the naam. No the journey is extensive, taking rarely one lifetime and without an authentic Master can be fraught with delusion .Siddhis are to be avoided yes, they can empower the ego and you can get hung up in myriad internal universes instead of going stra ight home. No Siddhi or astral plane of intergalactic experience can compare. Very good article about anahata shabda. I have practiced Gayatri Mantra for quite a long period of time. After practice of 3 to 4 years, a continuous high pitch vibration is coming in my right year . Some time I feel suddenly I felt in a Three dimensional silence both ears and head… I have asked so many ‘learned’ about this noise (or is it a sound of silence?? )..could not understood what it is. It is 24/7 wether I close or do not close my years. Its not disturbing or annoying ..its just a back ground silence of all the noises around me. This silence/sound of silence is very pleasant. Is it some kind of messages? or is it a vibration formed because of continuous chanting of mantra or is this not in human audible range at all?? I would appreciate if you can post more about this anahata sounds.. and how to interepret or how it could be a step sotne/mile stone for the further saadhana. So many articles about tinnitus sounds in year…but those sounds are disturbing,irritating. Good informative article. Religious practice of meditation helps alleviate our conscious levels. As we have our food for surviving through body,religious practice of same help clear mental blocks, therefore meditation should become a routine part of our life, to reflect or dwell within for our well being. pls consider the mind as a box/space where the thoughts arise as a balloon. the normal human tendency is when one thought arises, we analyse associated action with it. say – what breakfast should i make? (if this is the primary thought) the next attachments are all of conscious mind, i’ll make upma. but upma is not liked by my son. so how do i convince him, lets give him sugar….. so on and so forth. the sub conscious mind makes primary thought, secondary thoughts are in our control. one needs practice to deny the mind the secondary thoughts. there is a good example in swami vivekanandas collective works on how to do this. when the primary thought comes just observe the thought, the detachment of mind from the creator of thought to the observer of thought is crucial pls try. another method is set a trigger say a gods portrait which shall remind you to ask yourself what am i thinking now. its like questioning your child(mind here) what are you doing now. when you continue to question this frequently you shall reduce the primary thoughts and also not attach the secondary thoughts to the primary thought. after practicing this for some time, you shall realise that your mind has started achieving calmness that you desire. thought less mind leads to you listening to your inner voice. pls be careful here- some might confuse between the minds voice and inner voice and get into lots of trouble. hopefully by this time you shall reach a stage when you shall receive a better guidance than somebody on the net. above all, have bhakti for your personal god. he ensures the thoughts are minimised or turned towards him all the time. the rituals, japa and bhakti all aim for a thought less mind; after that comes surrender. but that would be a whole new topic. i am extremely grateful that you asked this question. it helped me form these thoughts from different books on meditation. According to Buddhism, there are 6 windows namely Eye, Ear, Tongue, Nose, Body and Mind. through which thoughts are generated and t is not the thoughts generated from the Mind should be focused but the thoughts generated from the physical body. For that, Buddha recommended a mediation called Sakman Bhavana (Walking Meditation) to practice. If you could practice it in its true spirit , you realized for a glimpse of second that the designation you have given to the body as “I” is just a mind fabrication and need tot be get seriously attached. Once you experience this condition not as a point of view of an “I” but as an experience where there is no owner as such to that experience, then you become qualified to understand Buddhist Theory in its right spirit.